The Sino-UK project is led by Professor Saffa Riffat, from the Faculty of Engineering, whose research group is world-renowned for innovations in sustainable materials, energy and building technologies. Using a special technical approach, the team is working on plastic films derived from konjac flour and starch, cellulose or proteins that are fully edible and harmless if accidentally eaten by people or animals - unlike health issues associated with microplastics and other plastic waste that make their way into the food chain. “While plastic materials have been in use for around a century, their poor degradability is now known to cause serious environmental harm. This has led to more stringent recycling targets and even bans coming into force. 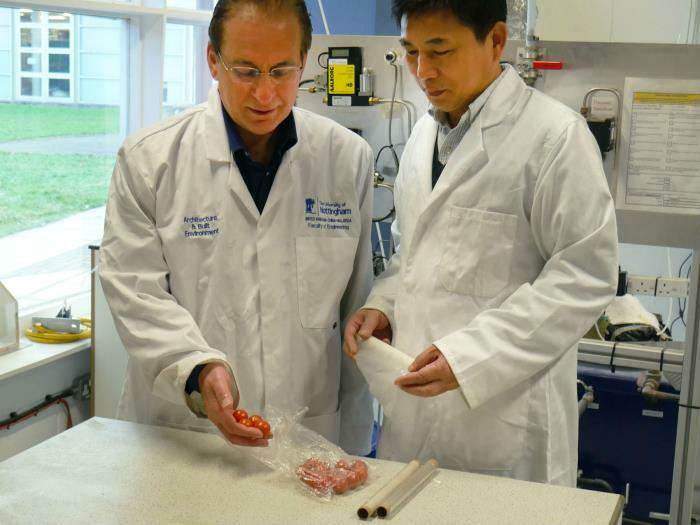 Image: (left to right) Professor Saffa Riffat and Professor Fatang Jiang with the edible biodegradable film and in bag form. For further details about the University of Nottingham, UK, please click here.